I was recently guided to iTunes U, a pool of video lectures in the iTunes store, mostly free! This is an excellent resource, especially for those (like myself) who would be content to be professional students forever. 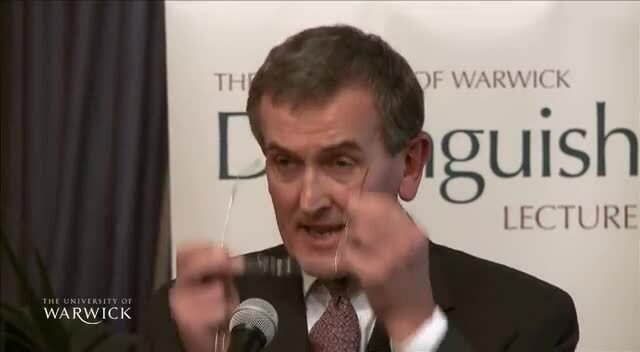 The lecture I watched this week was part of the University of Warwick’s Distinguished Lecture Series— “Objects of Concern: Some of the Things that Preoccupied Shakespeare’s Public,” given by Neil MacGregor, director of the British Museum. MacGregor notes that while Shakespeare the man is rather “nebulous,” historical ephemera can clue us into the mindset of the author and his audience. He illustrates his points with objects displayed in the British Museum’s current Shakespeare: Staging the World exhibit. 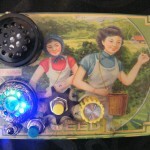 Here are a few points which I found the most interesting. In a world where Spain domineered exploration, England wanted the upper hand. And they succeeded, in a way, when explorer Sir Francis Drake realized that contrary to popular belief, the tip of South America did not connect to Antarctica, and the Strait of Magellan, heavily guarded by the Spanish, was not the only way to the Pacific from Europe. Drake’s discovery remained top-secret for a while, however, and many maps still depicted a Tierra del Fuego connected to Antarctica while Drake snuck into the world’s richest (Spanish-claimed) silver mine and helped himself for England. MacGregor compares this nationalistic race around the world to the space race of the 1960’s. This air of patriotism certainly influenced the naming of Shakespeare’s Globe Theatre; it was “a new world filled with things for England to take,” says MacGregor. Because that worked out so well for everyone. 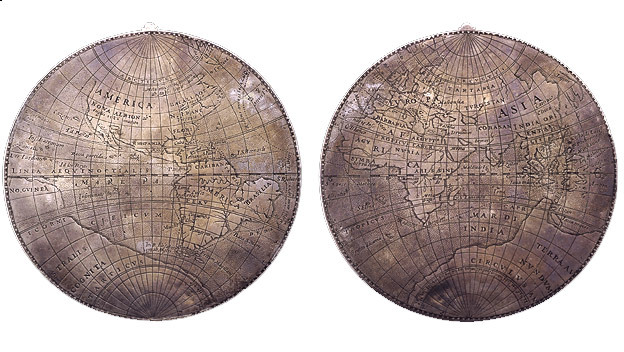 . .
Drake’s Circumnavigation Medal, showing his 1577-80 voyage around the world. The British Museum. France was suffering a brutal civil war as a result of an heirless throne, and the husbandless, childless Queen Elizabeth I left many wondering if England may meet the same fate. The Pope’s 1571 denial of the Protestant Elizabeth as a legitimate ruler, and the potential Spanish (noooo!) claimant Philip II, added fuel to the fire. Jesuits working under the Pope dressed as peddlers and gave secret Catholic masses in attempt to undermine the Queen and her Protestant agenda— MacGregor shows the audience a peddler’s trunk which doubled as a mass-express kit complete with a communion chalice. Audiences already attended “public theater of cruelty,” says McGregor, in regular public executions of traitors, and the primary route to the Globe Theatre was across the London Bridge, where offenders’ heads on spikes greeted pedestrians. This is the aura of secrecy and conspiracy against the throne which birthed Shakespeare’s play “Julius Caesar” around 1599. 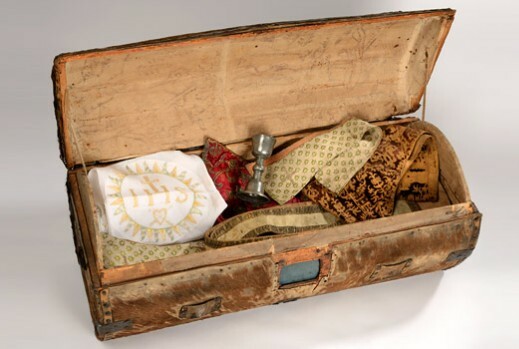 Peddler’s trunk containing necessities for Catholic mass. From the collection of Stonyhurst College, on exhibit at the British Museum. Theatergoers enjoyed lunch in the Globe, and Shakespeare, an excellent businessman, got a share of all the concessions (perhaps why he was the only poet of the era who could afford to be buried in the most expensive section of the Holy Trinity Church in Stratford). Evidence of figs and lots of shellfish have been excavated from the site, as well as money boxes and chamber pots (those plays aren’t short, and there were no breaks— when you gotta go, you gotta go! ).